« Hey, I’m A Believer Now! Actually, I can’t explain how the stink-bug stink goes away. Maybe it absorbs into the skin and becomes part of a person. God forbid! Is that what I’m letting guilt do? Become a part of me? I know guilt is provided for at the altar, at the cross. But how do I apply it to my fingertips, where I touched the stink-bug? Listen to me, boys and girls . 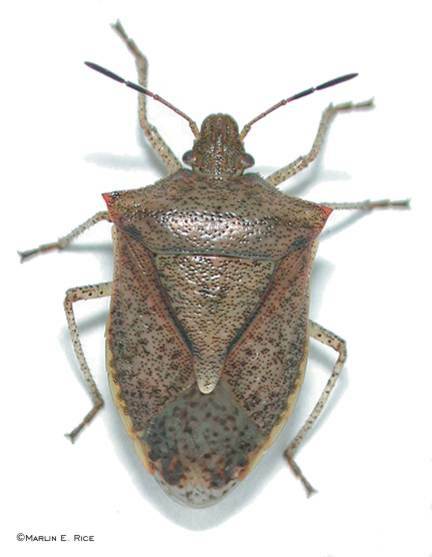 . . never, NEVER touch a stinkbug! I remember how I once got rid of guilt. I got on the floor, facedown, and clawed at the carpet in my bedroom. My guts shook and grabbed me from the inside till I curled up into a ball. I poured out sobs like a Red Cross worker passes out bowls of mush — profusely, indiscriminately, unashamedly, sloppily. There was no coherent prayer or string of promises. No wagering or deals. Only a desperation, a gushing longing, a riptide flushing, a primitive squirrel-skinning. A reversal at full speed, with a gear-stripping deep inside me. A holy transmission, some unseen power at work under the closed hood of my eternal soul. They say the seat of the emotions is the heart. Maybe the seat of the will is the mind. But I knew then and there that the seat of the spirit is the abdomen, and that there will never be any glory if there is never any guts. Thanks Monica. Pass it on if it can help your friends.